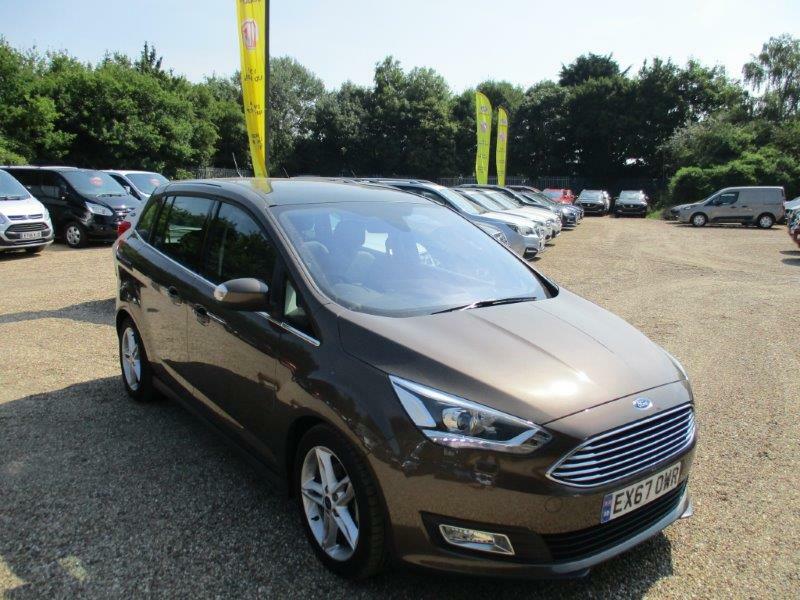 With a great selection or Used and Nearly New Ford Fiesta to choose from in the Essex area of Braintree and Chelmsford - CM77 6SA for your navigation, Perkins have the perfect car for you in stock for you to drive away today if you so please to do so. Our Friendly and experienced Sales Team have all the tools to assist your next car purchase with Hire Purchase, PCP (Personal Contract Plans) and of course, accurate part exchange valuations within minutes of your arrival so you know where you are in the purchase process. 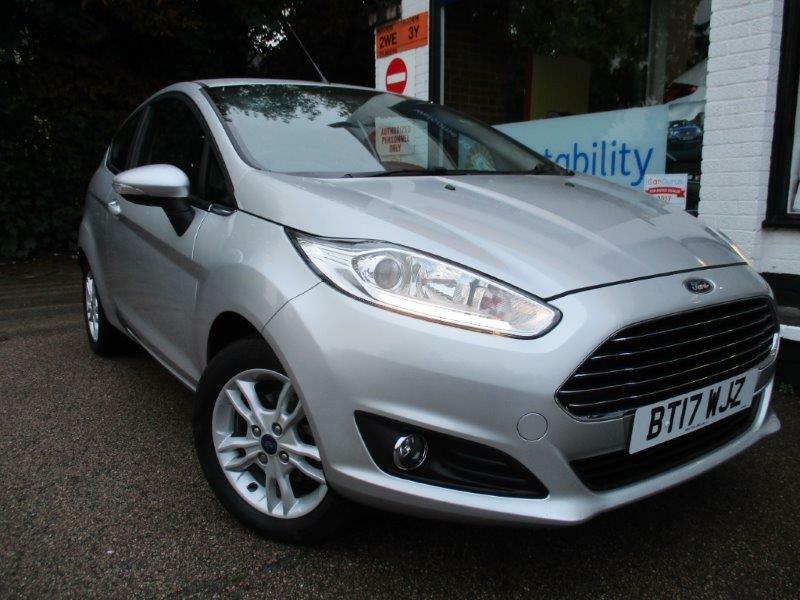 Visit our Fiesta page of vehicles on the website with all the lastest model to view from £8995 for a 2017 Fiesta 1.25 ZETEC 3dr with Satellite Navigation and Air Conditioning with just 8000 miles and 1 previous owner to the latest 2018 Ford Fiesta models including the rather gourgeous Titanium X and Vignale variants. We currently stock over 20 FIesta models with manual and Automatic gearbox with Diesel and petrol Technology - From September 2017, many new vehicles will be type approved using WLTP ( Worldwide Harmonised Light Vehicle Test Procedure) which a new way of testing vehicles for measuring fuel consumption and CO2 Emissions - The latest Ford technology of Ford EcoBoost petrol and Ford EcoBlue diesel engines are remarkably fuel efficient. The New Ford 1.5 TDCi 125 ps engine achieves 64.2 mpg on the combined cycle and has CO2 emissions of just 113g/Km. 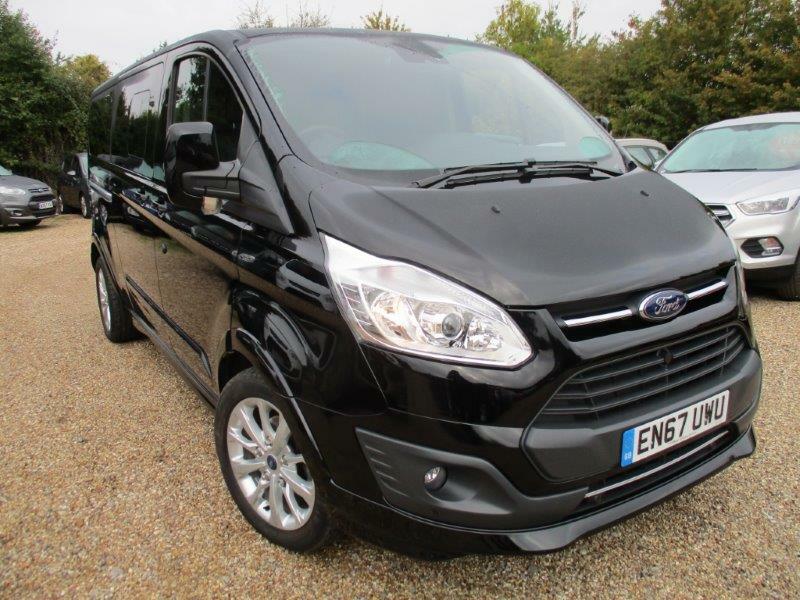 At Perkins Nearly New Ford Centre at CM77 6SA we stock a good selection of high specification Ford Tourneo vehicles - Many have Leather Trim , Satellite Navigation, Privacy Glass, Front and Rear Parking Sensors and all are 1 Owner Ex FMC vehicles with the remainder of the Ford manufacturer warranty balance. Here are a few examples of what we have in stock today ( 19.10.2018 ) and the stock is always changing. 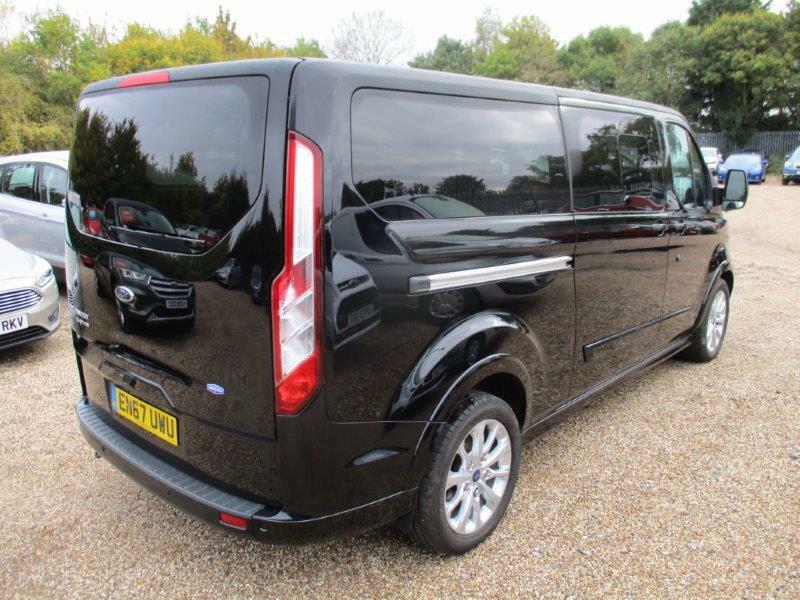 We also stock a good selcection of 6 seat Transit Custom Crew Cabs too if that is what your lifestyle demands. 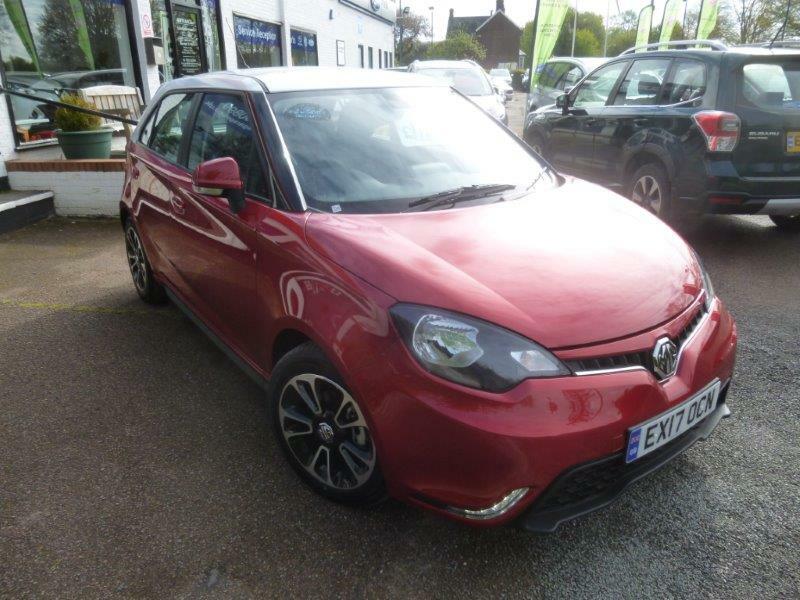 The New 2018 MG 3 is now here in the Braintree Essex showrooms and it has the superb 0% 4 Year Finance offer attached to the range of EXPLORE - EXCITE and EXCLUSIVE MG 3 models. 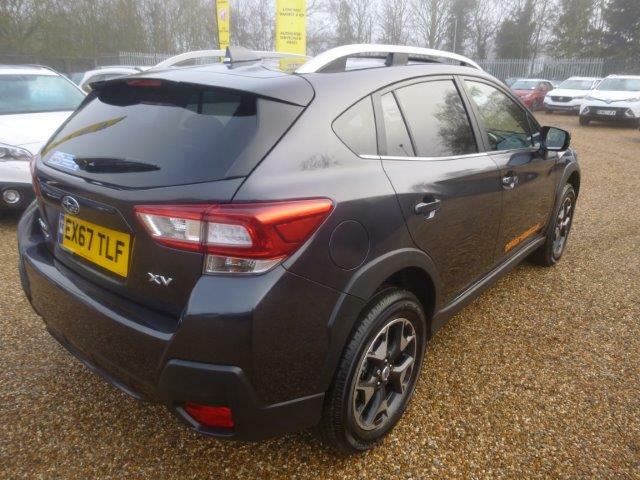 With prices starting at £9495 for the EXPLORE going up to £12795 for the EXCLUSIVE with 7 YEAR WARRANTY this car needs to be considered in your New car purchase basket. The specification of the New MG 3 is fantastic - including Bluetooth / LED Daytime running lights / Twin Front, side and Curtain Airbags and ISOFIX standard across the range of models to start with. 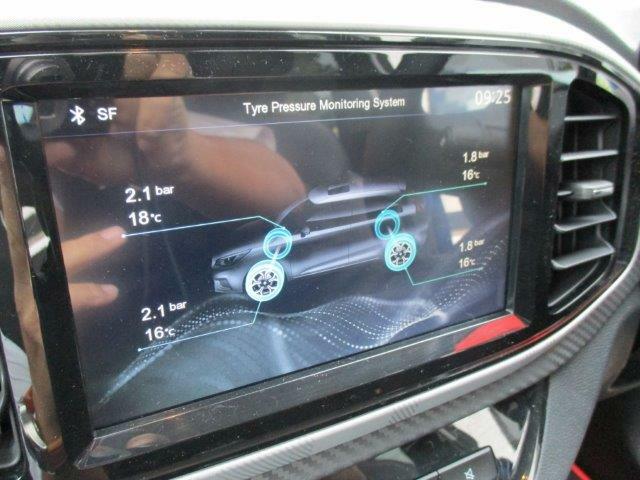 Adding Reverse Parking Sensors / DAB Audio / Air conditioning /Apple Car Play / Remote Locking and Diamond Cut Alloy Wheels to the EXCITE model and then with the EXCLUSIVE model you get Cruise Control / Reverse Park Camera / Remote Locking and Half Leather Trim along with many other great features we all need on our daily drive. 48 Payments of £189.92 / month ----On the Road Cash Price of £11395 --- Deposit of £2279 --- Amount of Credit £9116 --- Interest charges £0 ---Arrangement Fee of £0 --- Credit Arrangement Fee £0 --- Fixed Rate of Interest 0.00 % --- Duration of Agreement 48 Months --- Total Amount Payable £11395 --- Representative APR of 0.0 % APR ---- You own the car at the end of the agreement. 48 Monthly Payments of £213.25 --- On the Road Cash Price of £12795 --- Deposit £2559 --- Amount of Credit £10236 --- Interest Charges of £0 --- Arrangement Fee of £0 ---Credit Arrangement Fee £0 ---Fixed Rate of interest 0.00 % --- Duration of Agreement 48 Months --- Total Amount Payable £12795 --- Representative APR 0.0 % APR --- You own the car at he end of the agreement. 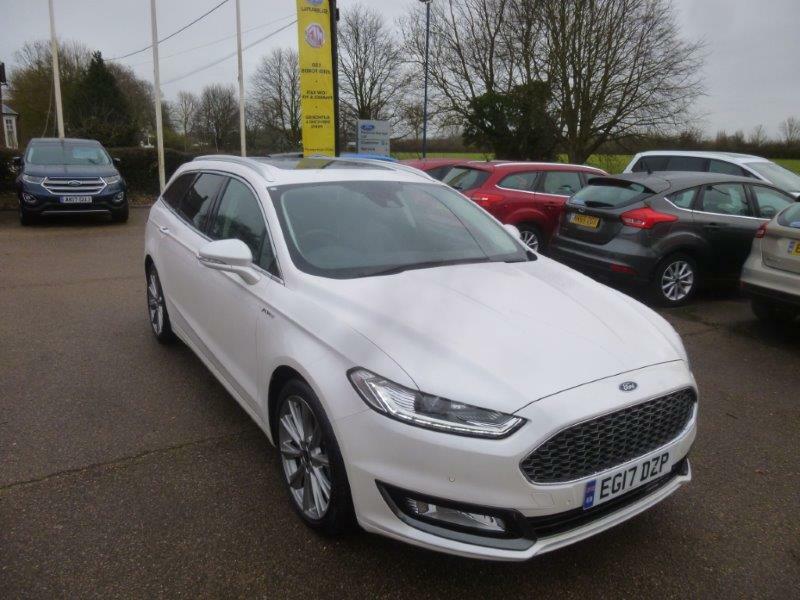 What an excellent choice of Nearly New Ford Mondeo Vignale vehicles we have into stock this week. 24.09.2018. Often we have more choice than your main dealer so you are likely to find the car you are looking for at Perkins Nearly New Ford Centre. We currently have 8 cars at the dealership just outside of Braintree Essex - CM77 6SA for your navigation to find us. Call 01376 550899 to book your test drive appointment and reserve one of these vehicles. 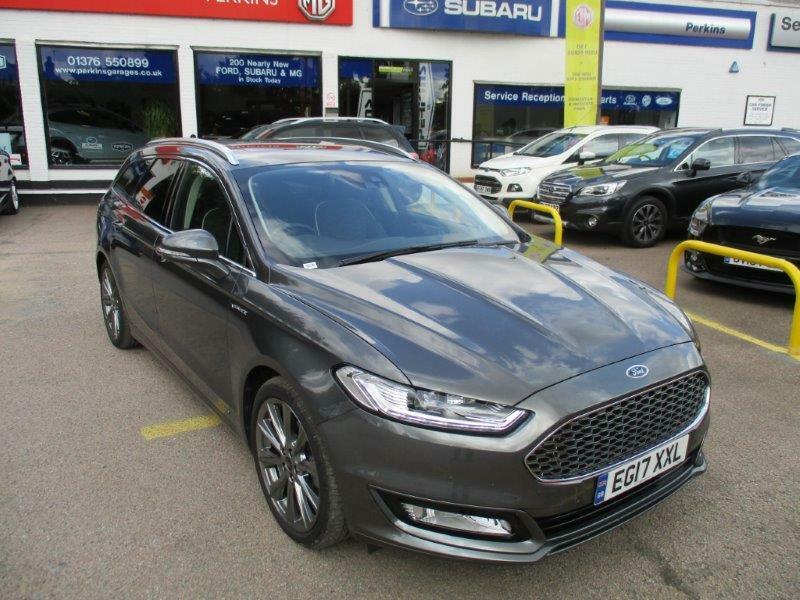 The Vignale range of Mondeo hatchback and Estate cars is an excellent choice if you are looking for a Premium motor car for 2018. Designed as a vehicle to travel distances effortlessly, there is some super tech behind this vehicle that many have not experienced before. An Active Grill Shutter that improves airflow and reduces drag, Streamlined rear quarter panels that are designed to reduce turbulence and add stability. Sound absortion materials create a hushed interior, a place of harmony and control. Light pours in through the Panorama Roof to enhance the feeling of space the subtle and Premium interior along with the changeable multi Coloured ambient Lighting enhances all night time travel. Its amazing how the colours adjust the feel and mood of the car. Ford SYNC3 with Voice Control offers a more sophisticated interface between driver and technology. The 8 inch screen supports multi touch gestures such as "swipe" and "pinch to zoom ", while Bluetooth and USB connectivity will let you integrate SYNC3 with your external devices. Apple car play, Android Auto, Applink and Emergency Assistance give you complete access to your smartphone HMI through the SYNC3 home screen. Active Park Assist can steer you into those difficuslt parking spaces just 20% longer or wider than the car. Its just a simple press of a button to keep calm and park the car. Bi-Turbo Diesel Technology - With 210 ps, the Vignale high power diesel engine employs a sequential bi-turbo system for increased performance and efficiency. Diesel is NOT DEAD YET as the 180ps and 210 ps engines deliver smooth and clean performance with both manual and Auto Powershift gearboxes.If you are doing the mileage, a diesel engine is still the only sensible and right choice for you. Intelligent All -Wheel Drive - The Vignale's Intelligent All-Wheel Drive (AWD) system continually monitors your driving environment, optimising traction whatever the surface by directing power to where it is needed. 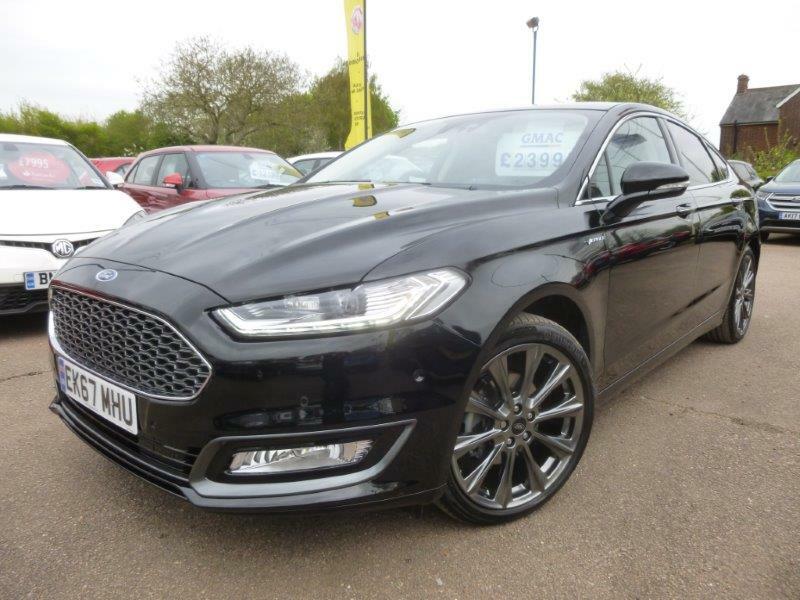 Experience the new expression of Ford with the Mondeo Vignale. It offers a unique ownership experience as the vehicles shine with superior craftsmenship and attention to detail in both Hatch and Estate variants. 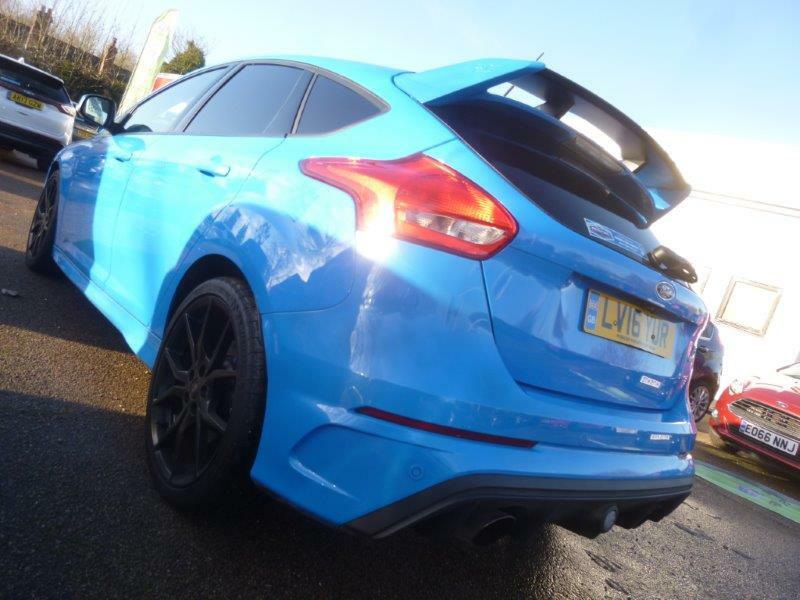 Another extremely rare Ford model has arrived into stock at Perkins Nearly New Ford Centre. Welcome to the rather brilliant S-MAX VIGNALE 2.0 EcoBoost 240 ps Powershift 7 Seat MPV. Registered 16/11/2016 - EJ66ZLK has covered just 5000 miles and is superb value at £26995 with a Low Rate APR of 6.9% Available. This car has some excellent factory options fitted also - Multi Contour Massage seating - - Built into the front seats are 11 pneumatic cushions arranged to provide extra support, comfort and, when required, give you a massage. Operated by the touch screen on the dashboard, they can massage your upper back, lower back, bottom and thighs to help prevent muscle fatigue on long journeys. Both front seats are heated and also Air conditioned for cooling. Panoramic Glass Roof / / 19 inch Alloy Wheel Upgrade / / SONY Premium DAB Audio / / BLIS ( Blind Spot Monitors) / / Hands Free Pack with Power Tailgate / / Front-Rear and Side vision Cameras // Rear Spoiler and of course SYNC 3 Hands Free Connectivity with Wi-Fi and Voice Command along with Satellite Navigation are essential elements to the modern drivers needs and requirements. The Ford S-Max proves that you dont have to compromise when needing space and comfort. The looks and drive of this car make a machine that turns heads and brings a smile to the driver and passengers. Petrol ECoBoost technology brings power and economy - 345 Nm torque - 240 ps - 180g/Km Co2 Rating - 35.8 mpg Combined - This award winning engine delivers the same performance as larger engines but with superior fuel economy and lower emissions. Intellegent Protection System - Advanced IPS uses a range of sophisticated technologies that are designed to help keep you protected, including an ultra high strength steel safety cage / Electronic Stability Control ( ESC) and front and curtain Airbags to protect you and our family. Perkins Nearly New Ford Centre is proud to annouce the arrival of a very rare Used Ford Galaxy 2.0 TDCi Titanium X Powershift All Wheel Drive 4x4 180ps for sale at our Rayne (CM77 6SA) showroom. EO67PYU was registered 18.10.2017 and has covered 4800 miles only. Finished in Deep Impact Blue metallic with Ebony Salerno Leather Trim with some excellent Factory options on board. 19 " Alloy Wheel Upgrade / Heated Steering Wheel / Front-Rear and Side Vision Cameras / Full Keyless entry and GO with Power Tailgate / Titanium Family Pack (including Rear Sunblinds and Picnic Trays ) / Blind Spot Monitotring system ( BLIS ) / Cross Traffic Alert / SONY DAB Premium Audio Upgrade and Rear Air Con. These options are complimented with the standard TITANIUM X high specification of Panoramic Glass Roof, Climate Control, Cruise Control, Privacy Glass, Front & Rear Parking Sensors, Quick Clear Heated Front Screen ,Power/Memory Drivers Seat, Heated Front Seats and of course SYNC 3 Touch Screen Satellite Navigation. The Intellegent All Wheel Drive System from Ford is a system that continually monitors where power is needed and automatically applies the required torque to each individual wheel for added confidence, whatever the road conditions. Handy with Winter just around the corner. Connect with your world - A choice of superb audio, navigation and entertainment systems, with built in connectivity for your gadgets, lets you fill your Galaxy with your favourite music and connect to the outside world. 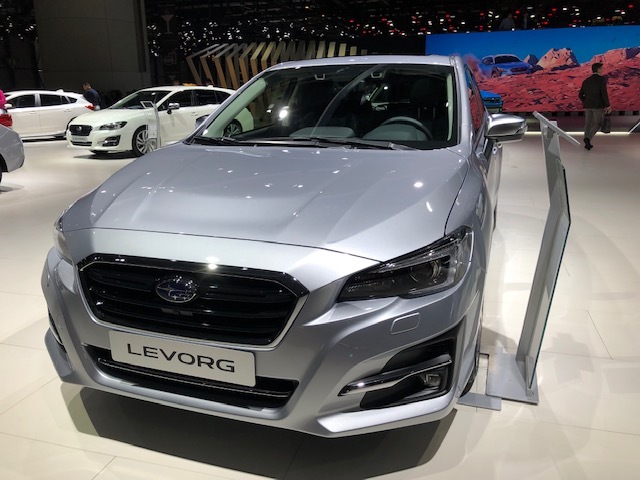 Makes parking a breeze - Simply push the ACTIVE PARK ASSIST button and the sensors of this innovative system locate a suitable space as you drive past. Then it automatically steers you in, while all you do is operate the accelerator, gears and brake (following on screen instruction and audible signals). Its really rather good when you try it. After you've done it once...well come and try it for yourself ! We are open 7 Days for convenience - CM77 6SA for your navigation to find us - Please call us on 01376 550899 to book your test drive appointment. 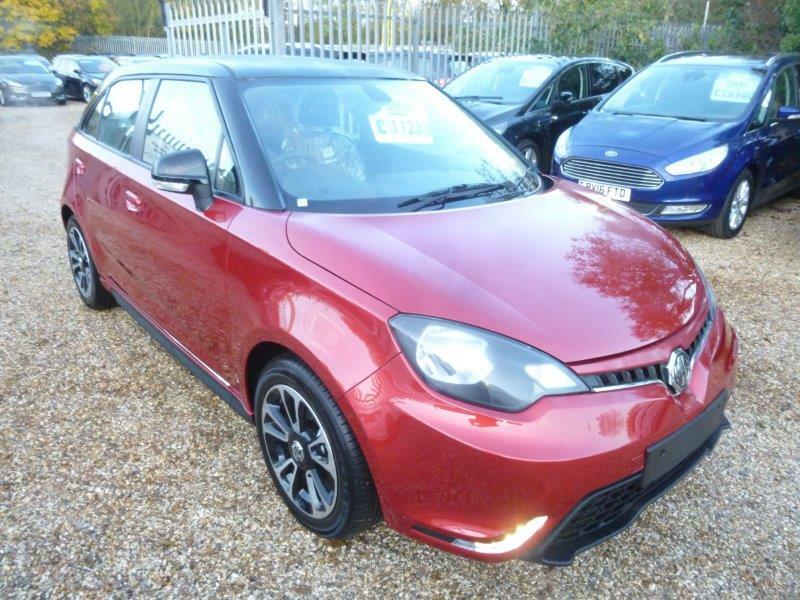 As the 2019 model MG 3 arrives into stock at our Braintree showroom , Perkins MG have de-fleeted the 15 strong Courtesy Car Fleet of 2017 Model Year MG 3Style Plus models and they are now available for sale. All of them are 67 Plate cars registered in September 2017 and ALL of the vehicles are under 10k miles. 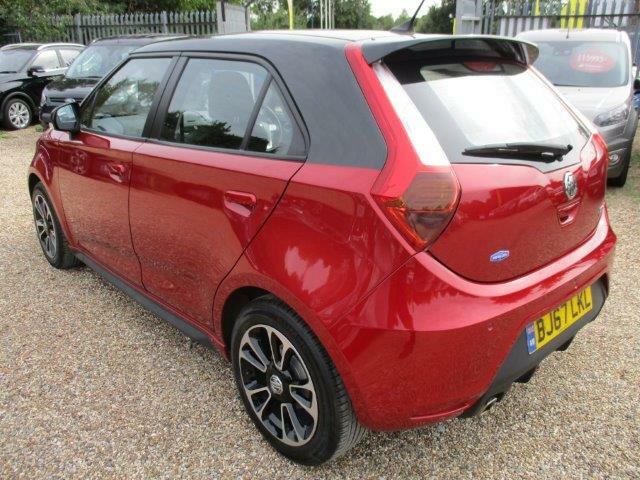 The MG3 Style PLUS is fitted with Leather Trim / Climate Control / Cruise Control / Alloy wheels / Bluetooth Telephone Connectivity / DAB Audio and Remote Central Locking as Standard - Insurance Group 4 E and 42 mpg on the Combined fuel cycle. 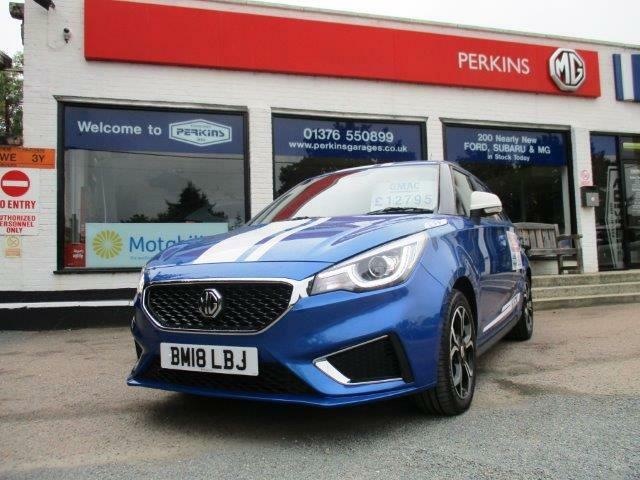 Article Posted - 13.08.2018 - As the Main MG Motor UK Dealer for Essex, Perkins Garages are leading the way with New and Used MG cars for sale in Chelmsford, Braintree, Bishops Stortford, Great Dunmow and Witham. 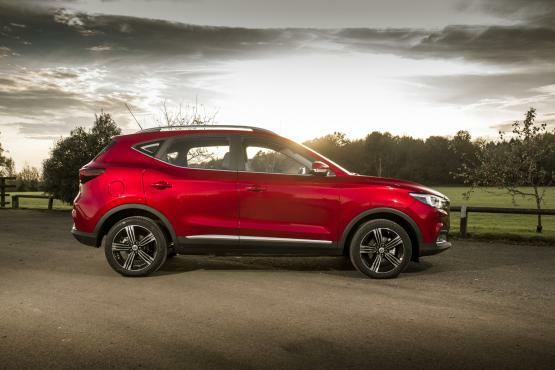 With over 500 New MG cars being sold over the last few years by Perkins, the brand is bubbling up some great reviews and opinions across the UK. We await the introduction of the 2018 New MG 3 in the next few weeks as we go to the launch event. From what we've seen so far, it will be another leap into the New car market with a fresher look and feel to the car along with some surprises we look forward to testing. The sale of NEW MG ZS is going strong and we have a wide choice of models in stock and a good mix of colours and there is still the 0 % ( ZERO ) 48 months finance available on all new cars with a 20% deposit currently running until the end of August 2018. We can secure these finance deals (subject to status) for September 68 plate registrations also so CALL THE TEAM on 01376 550899 to book your test drive today. With a 7 Year / 80 000 miles Manufacturer Warranty the New ZS MG and prices starting from just £13995 OTR you HAVE to come a try this car. It's a real eye opener ! 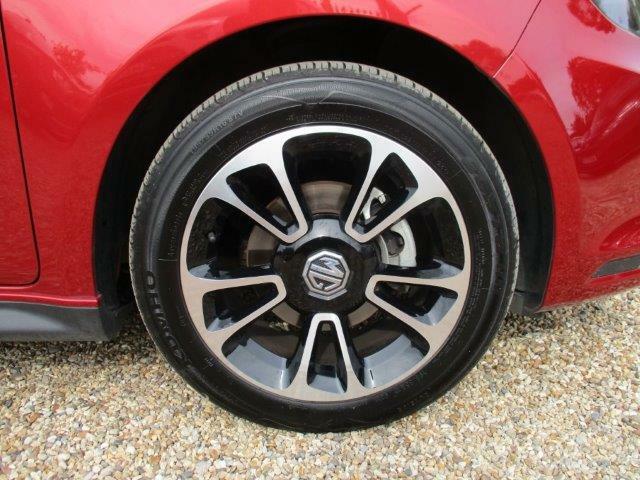 With MG GS supplies pretty much sold out and limited, we still have a small choice of models available with 5 year Warranty which is also applicable to the current MG 3 models. We have a handful of 2017 / 67 REG MG 3 Style LUX models available which we are just about to de-fleet from our courtesy car program so feel free to ask about what availability is about to come up. There are some teriffic deals to be had here. The MG Sales Team can look after all your enquiries. Ask for Phil Bunyard or Alan Player and they will do their best to answer any questions you may have about the product. 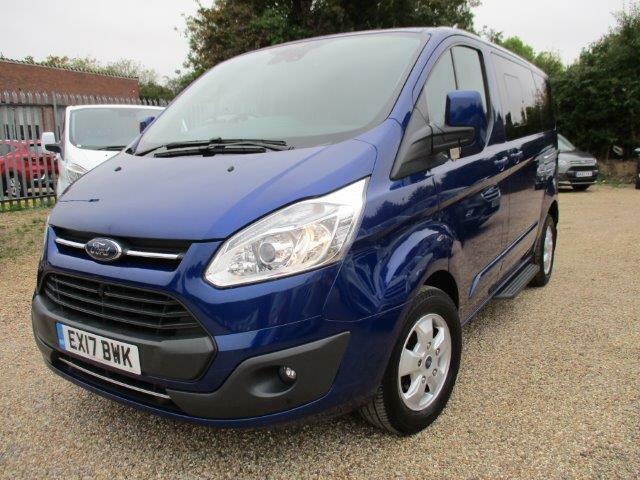 Two fantastic vehicles available at Perkins Used Ford Centre nr Braintree - CM77 6SA - have just arrived into stock. 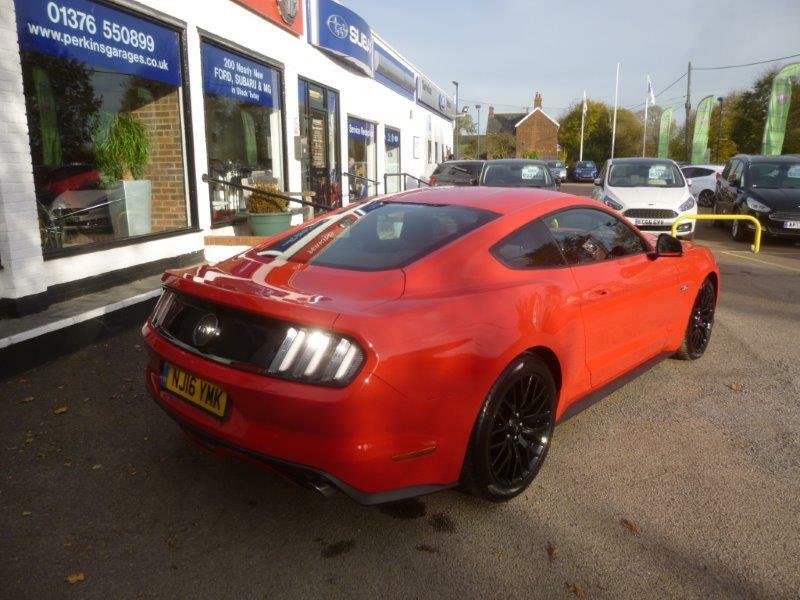 Both registered in September 2017, so Ford Warranty remaining until September 2020, these 2 top of the range vehicles are difficult to find and offer superb value for money in the Nearly New Ford market place. Both vehicles have covered just 4000 miles and are ready to go. We offer some LOW RATE FINANCE Hire Purchase and various PCP deals that may suit your requirements. Please call the Sales Team on 01376 550899 to arrange your Test drive appointment on these rather desirable motor cars. If it is time to change your current motor vehicle, Perkins New, Nearly New and used Car Centre is a great dealership to visit. We stock over 100 Used Ford cars, 50 New and used Suabru and 50 + New and used MG and we have them all in stock and available to test drive 7 days a week. We are FCA Authorised so we can help you through the financing of your next vehicle and we offer Hire Purchase, PCP and Business finance solutions for all. We concentrate on stocking high specification Ford/ Subaru and MG models and persevere to offer you, the driver, the best value for money, spec for spec in the used car market place. Why not spend less and get more specification with Perkins Nearly New Fords. Our Subaru expertise is something slightly different to the rest. 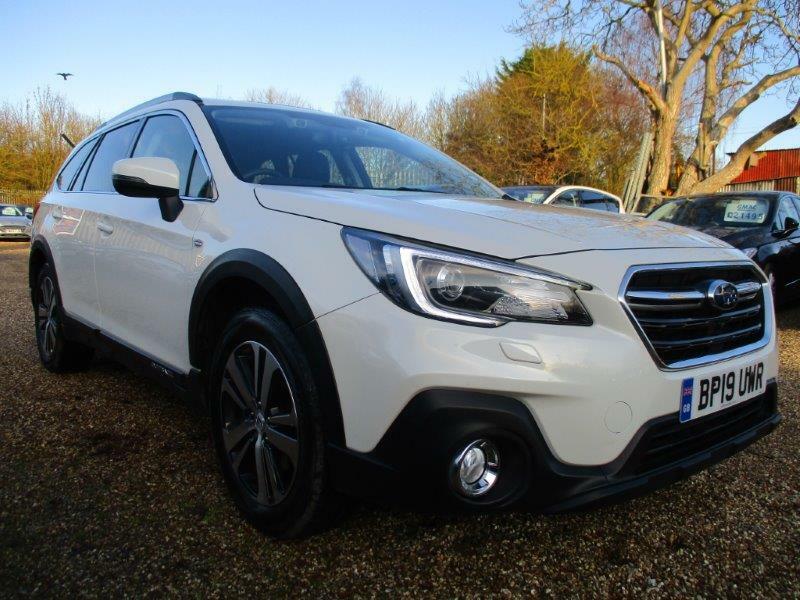 We strive to find the best value Nearly New Subaru with the lowest mileages on offer. 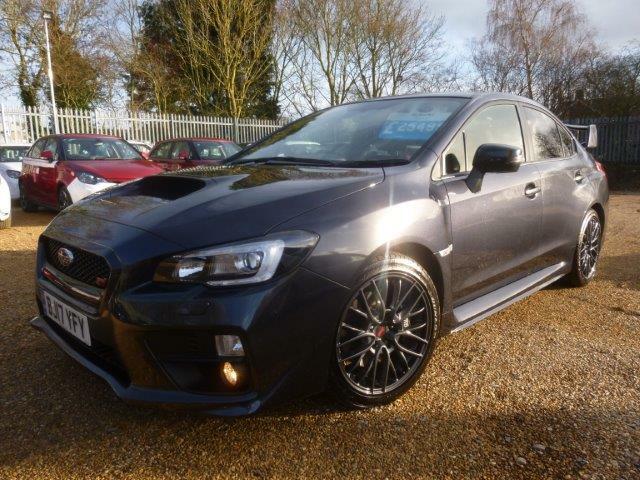 For NEW vehicles, we stock the highest specification models and are constantly reviewing availability from Subaru UK to ensure we have the cars you want to buy in stock. 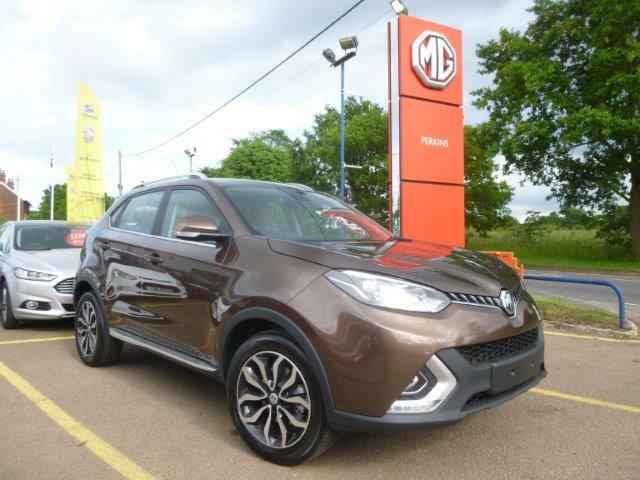 The MG product is rapidly expanding in choice of models and still maintaining it's current steep rise in sales across our area and in fact the UK. 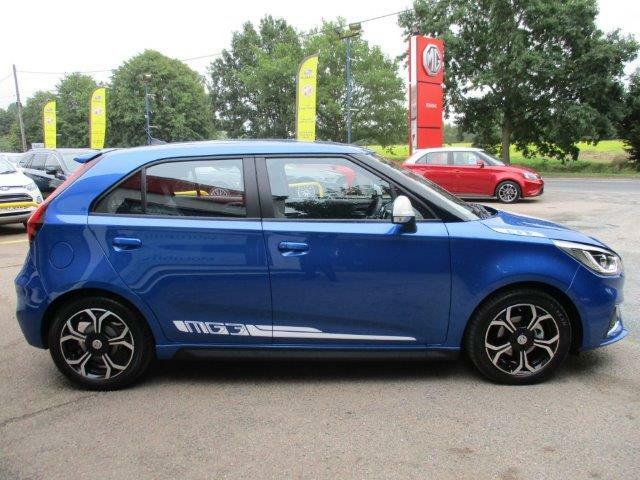 With 7 Year warranty available on New ZS models with a great ZERO % Finance Offer (call and ask our sales team ) with low deposits acrosee the MG 3, ZS and GS models, maybe its time for you to consider a test drive to feel the quality and take up the price advantage that these brilliant motors cars currently offer. We are open 7 days for your convenience and welcome you part exchanges. Please make sure if you are travelling to the dealership to CALL 01376 550899 to ensure the vehicle of interest is still available and book your test drive slot to avoid waiting times in our busy showroom especially at weekends.